Our Prototype PCB Assembly is a specialized service that enables us to take complicated designs, prepare them for assembly, and test them without your needing to worry about PCB assembly workmanship. The prototype PCB assembly section of our manufacturing facility has a unique layout design that allows the flexible use of both automated and manual parts-loading stations. Our staff is qualified and experienced in managing fine-pitch parts and BGAs for high-density FR-4 PCBs. 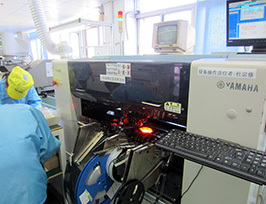 Our team is capable of manufacturing prototype PCB assembly volumes of 1-25 PCBs. Turn-Key circuit board assembly is our primary function, even at the prototype level. 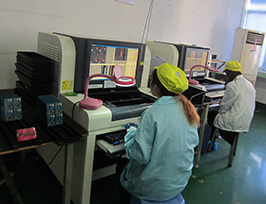 We have engaged expert engineers and formulated effective guidelines for each step of the PCB manufacturing process so our customers can benefit from Asian Circuits' circuit board prototyping, parts sourcing and PCB assembly services. Additionally, we offer a partial Turn-Key service that gives us the ability to assemble component kits as per the client's specification. Our PCB Assembly service includes the sourcing of parts. This allows you to concentrate on what you do best: layout design. We have a dedicated sourcing staff that coordinates with multiple suppliers and distributors to purchase parts as per client requirements, and completes these purchasing activities in a most efficient manner. We have advanced processes for optimal selection of packaging (cut tape, tube, bulk, etc.) to reduce the total cost. Furthermore, we are capable of cross-referencing parts and locating hard-to-find and obsolete parts. Customers can be rest assured that when Asian Circuits substitutes components they are high quality because we only use the component numbers and manufacturers specified in the BOM. We will not modify your original layout design. Part substitutions take place only with your permission. The final turn-key cost includes assembly labor charges, bare circuit board rates, and parts cost. On our website, you can obtain an instant online quote estimation for prototype PCBs and assembly. It will generate "PCB + Assembly" charges in a fraction of a second. Prices are based on the rates of Digi-Key, Mouser, Avnet, Arrow, Future, Newark, or a particular supplier. We understand the importance of prompt delivery. The sooner the components are sourced, the sooner we can begin circuit board fabrication. We thoroughly evaluate engineering inquiries and related parts concerns with our clients before commencing circuit board assembly. 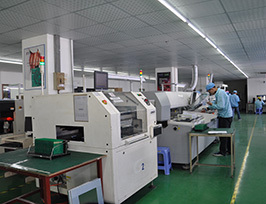 The average time taken for turn-key PCB assembly is two weeks, which can be further reduced if there are no hard-to-locate components or documentation mistakes. 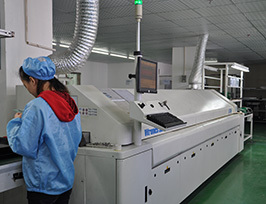 Our team is qualified to manage the complete process, which includes the sourcing of all components (PCB and parts), online order tracking and their management, PCB assembly, quality control and delivery. We have specialized experts to deliver fast-turnaround, prototype circuit board assembly with surface-mount (SMT), through-hole (THT) and mixed-technology components. Our efficient and rapid prototyping service team can assemble circuit boards in as little as 24 hours.